Bhubaneswar: BJD’s Bhadrak MP Arjun Charan Sethi, who resigned from the regional party resenting denial of party ticket to his son Abhimanyu Sethi, joined the BJP on Saturday. 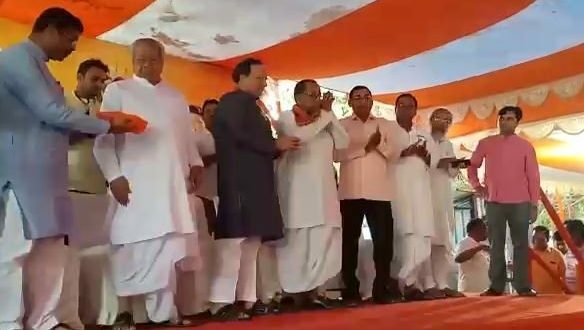 Former Jajpur MP Mohan Jena and Abhimanyu also joined the BJP in presence of union minister Dharmendra Pradhan, state in-charge Arun Singh and other senior leaders at state party headquarters here. Arjun Sethi had resigned from BJD earlier today after his son was denied a ticket to contest the upcoming polls. Mohan Jena had quit the regional party on March 28.